Manuel Jesus Maldonado-Martinez was wanted on gun charges and for allegedly beating a woman pregnant with his child. Police said Manuel Maldonado-Martinez brutally beat a woman who was four months pregnant with his child on Feb. 1. He was wanted for that offense and for an illegal felony gun charge when he was arrested Thursday. 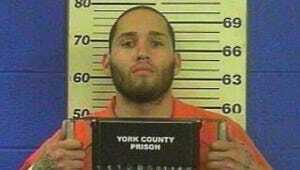 Maldonado-Martinez is now in York County Prison without bail. York City narcotics officers on Thursday captured a previously convicted felon wanted on two felony warrants — one of them on charges he brutally beat a woman pregnant with his child. When police arrested Manuel Jesus Maldonado-Martinez about 8:30 a.m. in the home of an on-again, off-again girlfriend, he was in possession of a handgun, heroin and cocaine, according to York City Detective First Class Andrew Shaffer. As he was being arrested, Maldonado-Martinez told officers, "Everything illegal in the house is mine," but he wouldn't say what that might be, or even if anything illegal was there, according to Shaffer. "In my 20 years of experience, that's what we call a clue," Shaffer quipped. City drug detectives and members of the city's Nuisance Abatement Unit had information the fugitive would be at the home of a woman he dates who lives in the 600 block of Front Street, according to the detective. 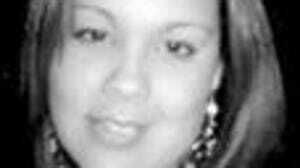 Maldonado-Martinez was arrested there without incident Thursday morning. Armed with a search warrant, authorities combed through the woman's home and found a bag containing Maldonado-Martinez's state identification card, a .380-caliber Beretta handgun, $2,400 worth of raw, unpackaged heroin and $250 worth of marijuana, Shaffer said. Maldonado-Martinez, 27, of 505 Hill St., is now in York County Prison without bail, charged with being a felon in illegal firearm possession and drug-dealing offenses. His bail was revoked on his previous unrelated charge of being a felon in illegal firearm possession and on the domestic assault case, according to court records. "We've been concentrating on people like him who are violent drug dealers — especially violent heroin dealers," Shaffer said. "In our opinion, those people don't need to be on the street." Pregnant woman attacked: York City Police have said that on Feb. 1, Maldonado-Martinez repeatedly kicked a woman in the stomach and head when she was four months pregnant. Charging documents state the victim, a 24-year-old woman, was stopped for a traffic light in the 700 block of West Market Street with her 2-year-old daughter in the car when she saw a car pull up behind her and saw Maldonado-Martinez get out from the passenger side. She tried to drive away but was stopped by traffic, which gave Maldonado-Martinez time to get into her vehicle, police said. He slammed her head into the steering wheel about 10 or 20 times as she was driving and grabbed the wheel to keep her from pulling into a gas station at the corner of West Market Street and Richland Avenue, documents allege. He told her he would kill her if she didn't keep driving, according to police. While she was driving, Maldonado-Martinez punched her face and head and twisted her neck, then ordered her to pull over in a lot on South Richland Avenue, documents state. She tried to flee, but he ran around to the driver's side of the car, pushed her head down and shoved her back inside, police allege. He then drove to an alley near the corner of Kings Mill Road and Jessop Place, where he dragged the woman out of the car, threw her to the ground and kicked her about five times each in the stomach and the head, documents state. Tiny witness: The woman's 2-year-old daughter was in the car during the entire incident, according to police, who said Maldonado-Martinez endangered the child. Police did not say how the woman eventually got away, or whether Maldonado-Martinez merely walked away after allegedly assaulting her. Officers were alerted after the woman was admitted to Memorial Hospital for treatment, documents state. In that case, he is charged with aggravated assault, aggravated assault of an unborn child, child endangerment, simple assault and unlawful restraint. His defense attorney, Jennifer Smith, could not be reached for comment Tuesday.